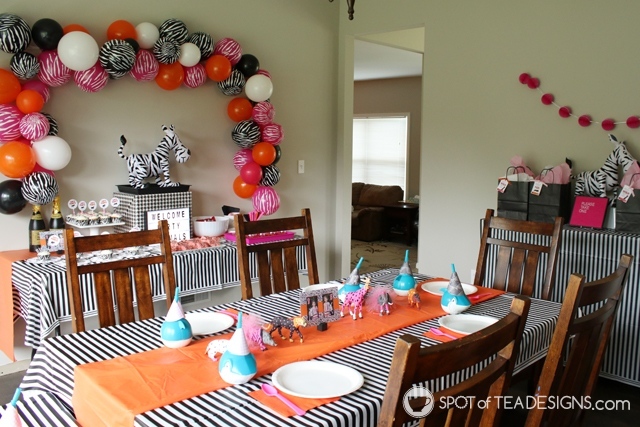 When my birthday twins turned 5 and 3, we threw a small Party Animals themed birthday party in our new house. 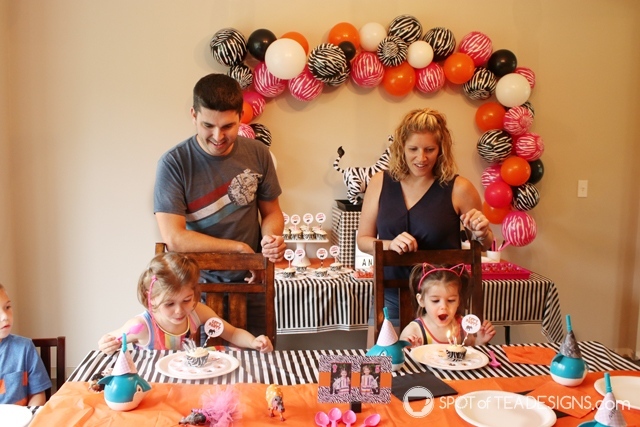 While they have been modeling for my staged parties all year, they were truly excited to have one that was actually celebrating something REAL! Brielle picked the theme and I crafted most of the elements prior to our big move. 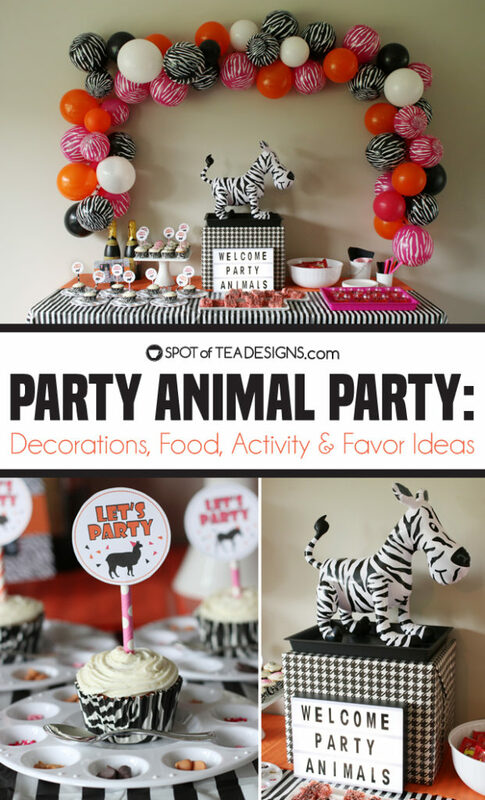 I’ve previously given some peeks into this party with some DIY projects but today I’m sharing it all in case you wanted to throw a party animals party for your little one! 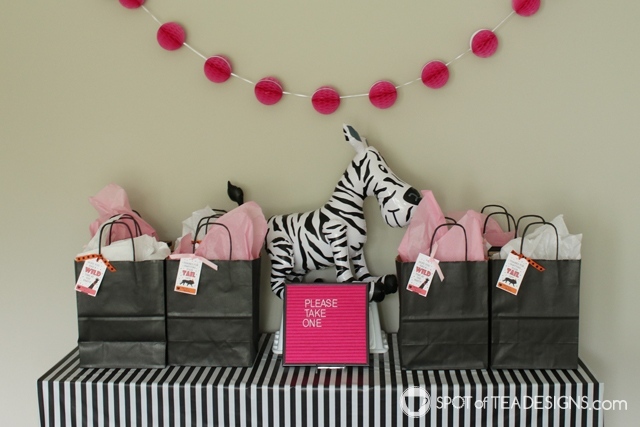 One summer morning the girls posed for a quick shoot with these fun inflatable zebras. Each got their own to hug, hold, ride and squeeze. 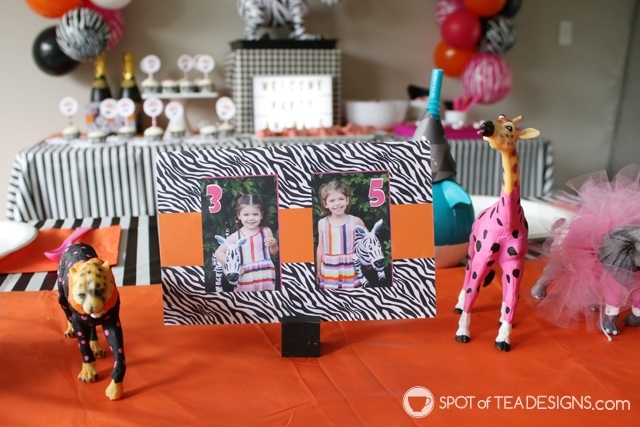 I snapped away and used a few photos for these invites I designed with our black, white, pink and orange color scheme and printed through Vistaprint. 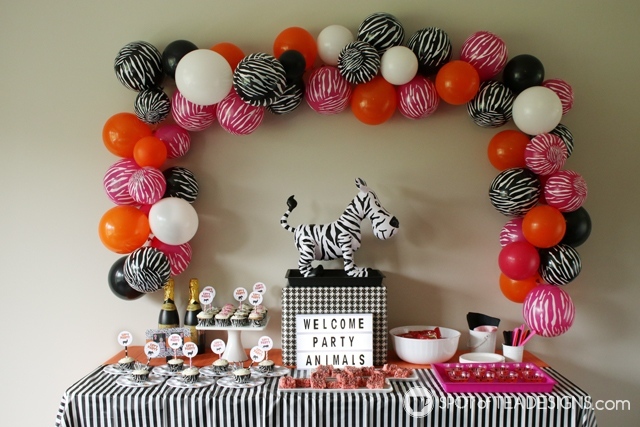 This was my first desert table in our new space and I was SO happy to have a flat wall in our dining room to design this balloon arch over the table! 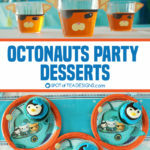 If you missed it, I previously shared the details on how to easily put one of these together here! 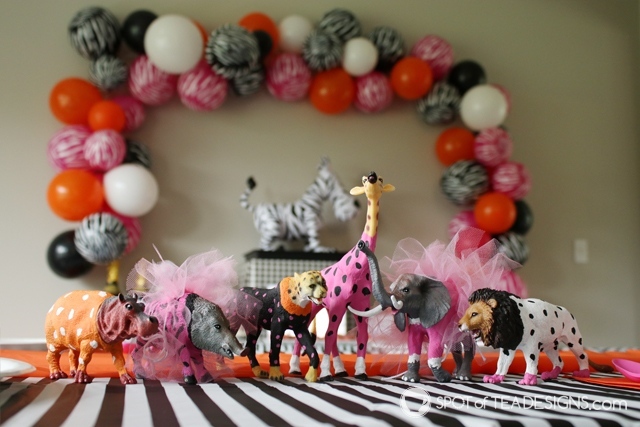 I hand painted these cute animal figurines as a centerpiece on the main eating table. 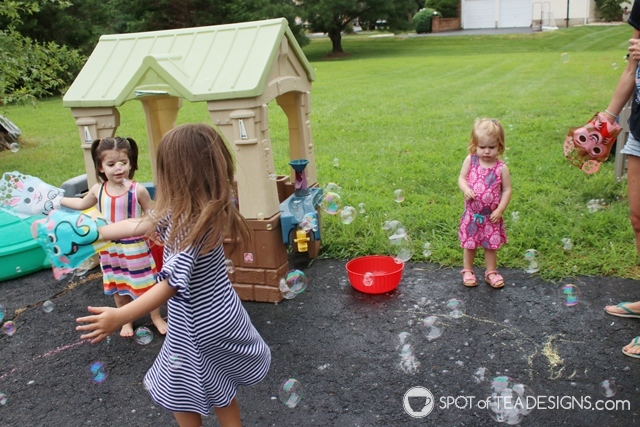 Once the kids sat down, these toys were moved around a lot! 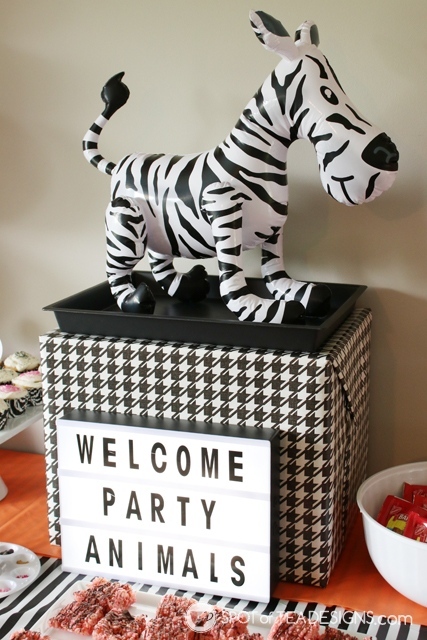 The blow up zebras from their invitation photo shoot were used as displays on the dessert table and favor table, along with this fun light box! 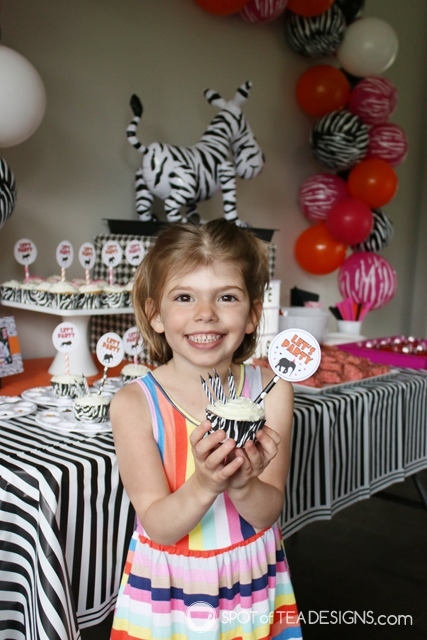 The dessert table itself was filled with some animal themed desserts. 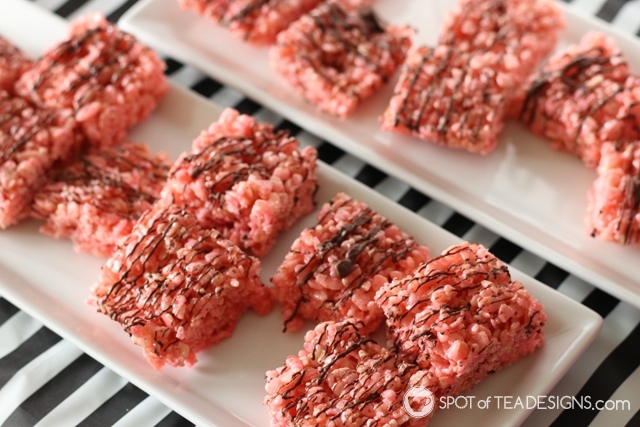 It wouldn’t be a Nehil party without Rice Krispies Treats! 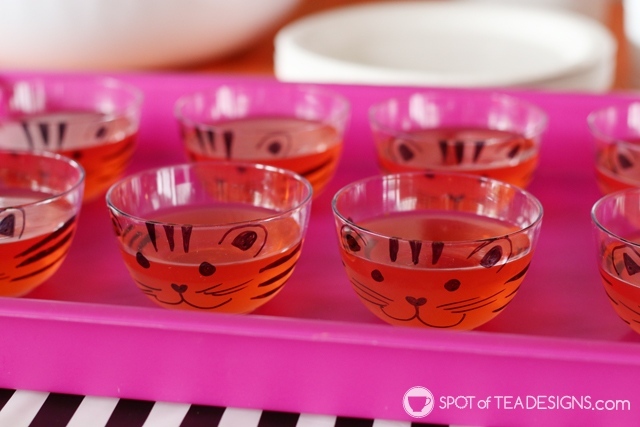 These were dyed pink and topped with milk chocolate zebra stripes to fit the party animals theme! 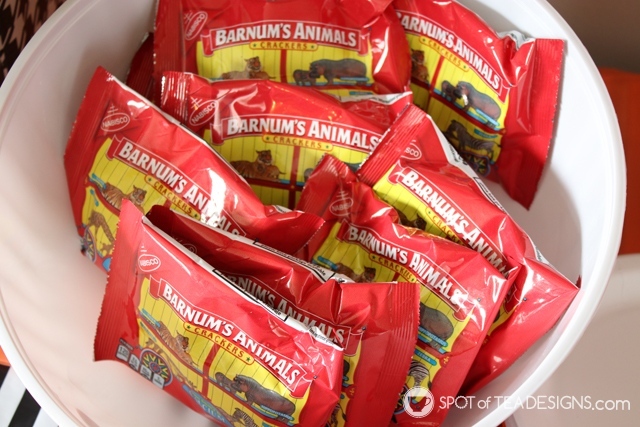 Bagged animal crackers were an easy grab and go dessert choice. The hit of this table? The decorate your own cupcake station of course! 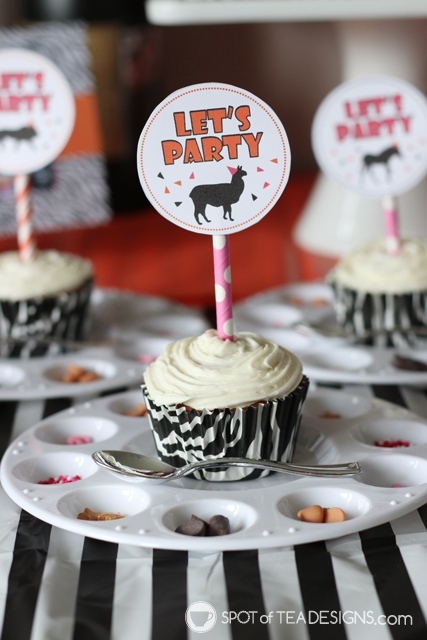 The cupcake wrappers are these foil lined zebra pattern designs from Wilton from their Color cups collection. 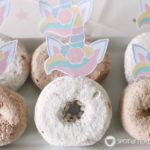 I will DEFINITELY be using this line again since they worked perfectly to bake the cupcakes yet keep a bright outer pattern for cute party staging purposes! 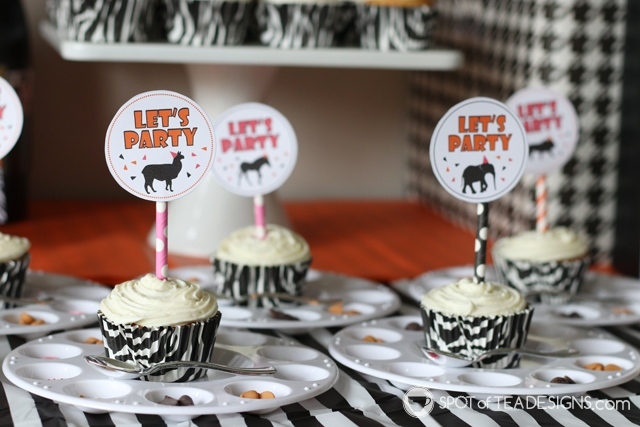 Each was topped with this “Let’s Party” cupcake toppers I designed. I put them to the side and inserted 5 and 3 candles into their cupcakes for the big sing fest. I got these plastic paint palettes and filled them with sprinkles, chocolate chips and all sorts of sugars to let each kid decorate their own cupcake as they wished. 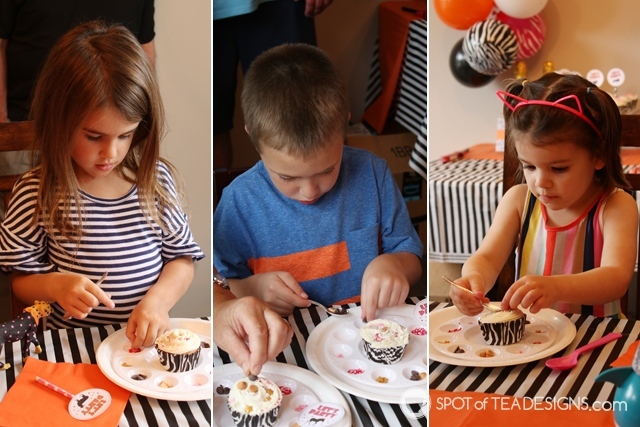 I included these mini spoons I found at Michaels one year and the kids loved to use it to help transport their sugars or as a mini spoon to scoop the icing off to eat! 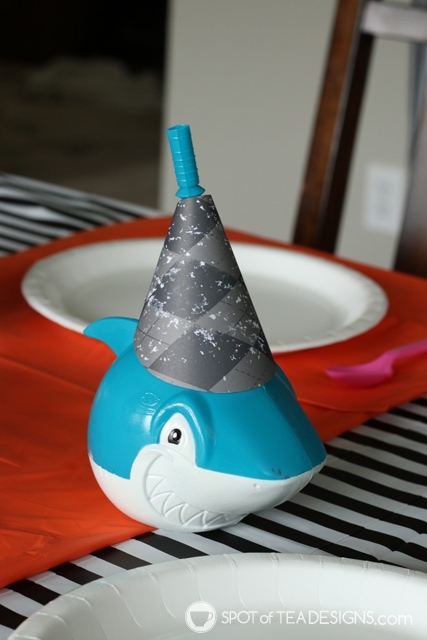 I had these cute shark cups left over from my Shark Party styling assignment so I added some mini party hats on top to bring in that whole “party animals” theme. 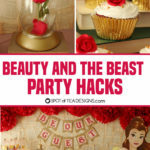 Yep, I took some liberties on what was considered “animal” for this party and used a lot of whatever I had available in my stash! 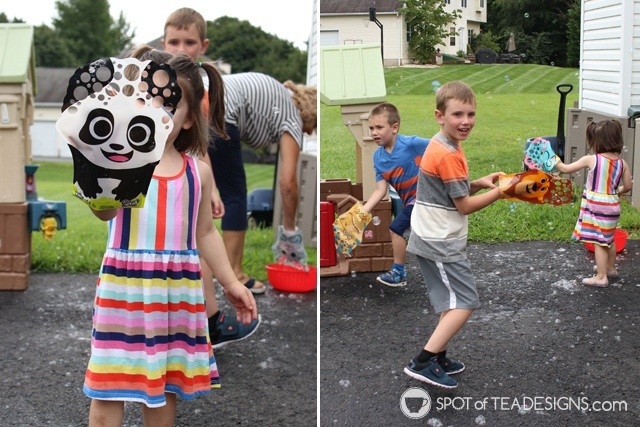 Brielle had previously attended a classmate birthday party where they gifted each child one of these fun animal Glove-A-Bubbles and the kids played with them at the party. I found mine at Walmart but linked to Amazon here for anyone shopping in the off summer season! 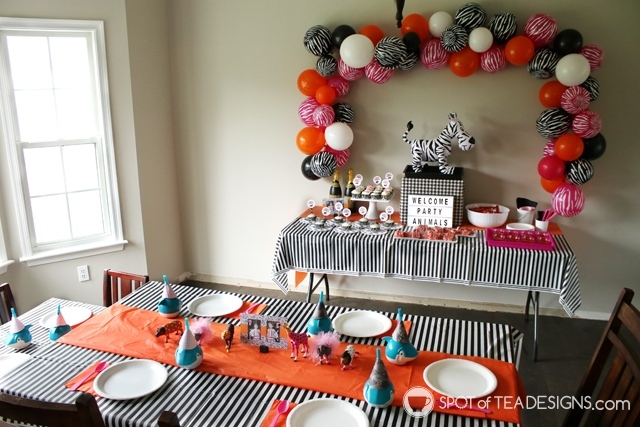 We did the same as they easily fit our Party Animals theme! 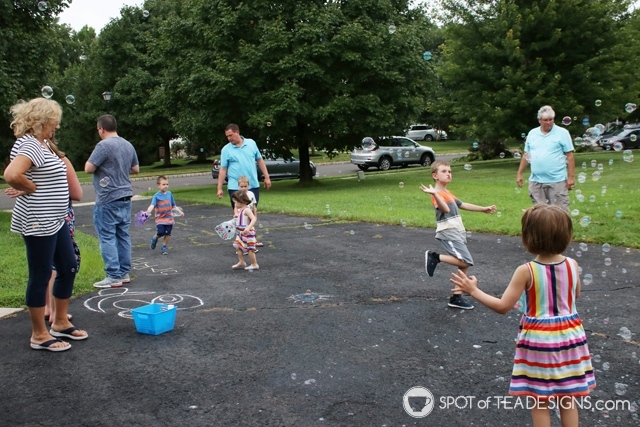 These bubble gloves created an awesome amount of bubbles which all the kids (and adults) loved. Tip: Use a bucket to store the extra bubble solution vs the pouch that it comes with and use this as a central dipping station. 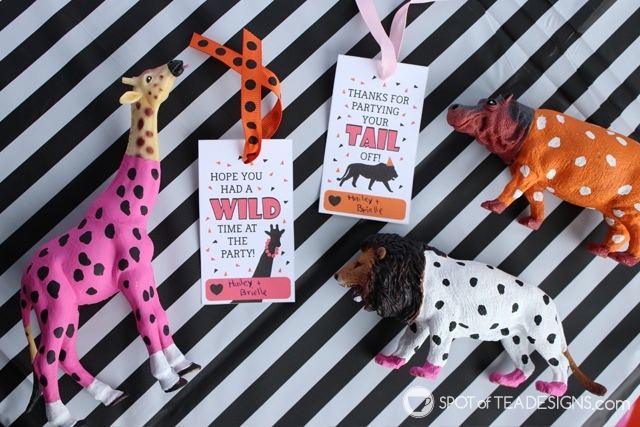 I kept the party animals theme going with the party favors as well. 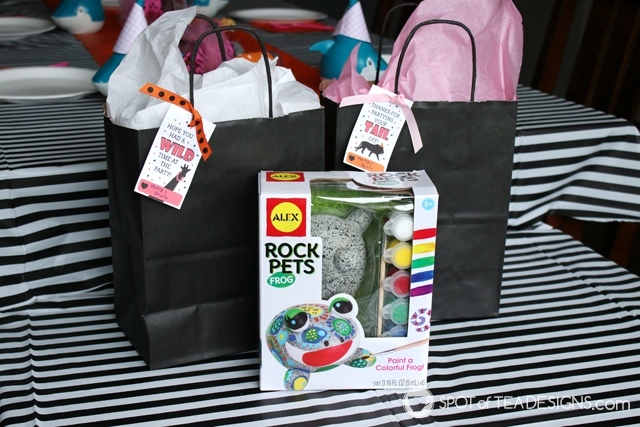 Each child was gifted one of these Rock Pets that they could go home and decorate for their garden. My nephews and daughters had previously painted them last year for my mom’s house but they don’t have any for their own home! 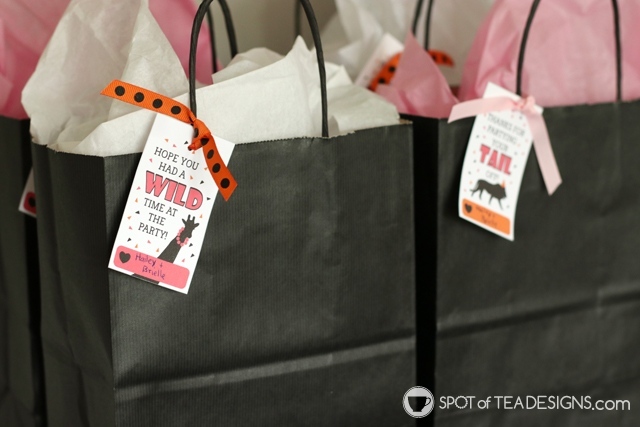 Each was bagged in these black bags (left over from our wedding hotel bags) with pink and white tissue paper and a Party Animals themed favor tag. 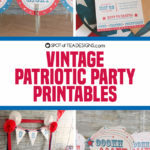 These are available to you free for instant download! 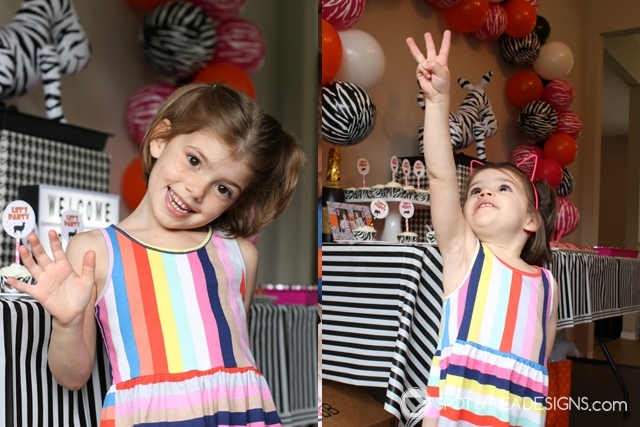 These birthday twins had a blast celebrated turning 5 and 3 and I’m happy to have knocked out the first party in the new house! 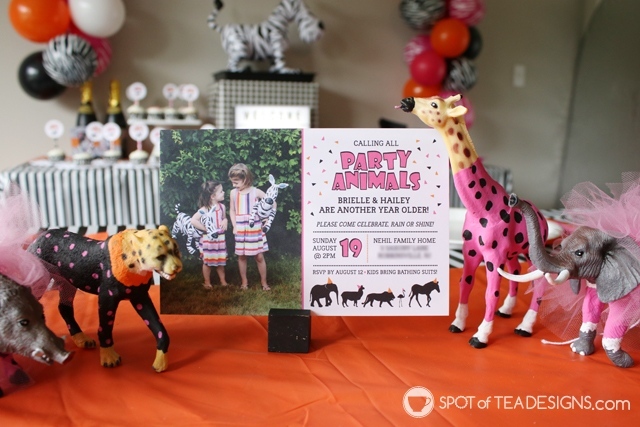 See more details on this Party Animals Party!